Beautiful, high quality runner. Couldn't be happier! Just a hint of navy blue! I ordered the matching 8' round for under my glass table in the eat-in kitchen area. Dimensions 156.0 In. X 36.0 In. X 0.25 In. 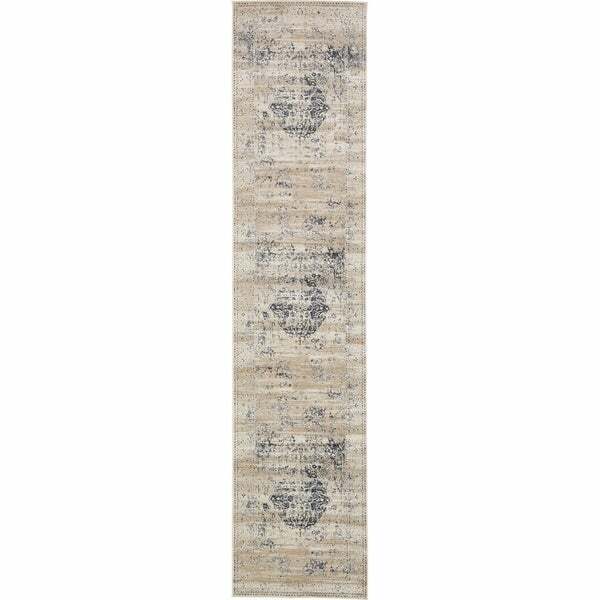 "I am looking for this rug in a 8 x 10? I have the 3 x 13 and would like to match." The only sizes available for this particular design are 10 x 14'5, 2'2 x 6'7, 4 x 6, 8 x 8 round, and the 3 x 13 shown above.